Once again it's that time of year we make a concerted effort to get down on the river and rid it of discarded rubbish. The SAA annual river clean-up takes place on Sunday 31st of March. We meet by the bench, between Carleton Stone bridge and Walton Wrays crem at 9.30am, so we can have a brief natter before getting stuck in at 10am. We usually pick for around three hours but it doesn't matter if you can only spare ten minutes, all help is very much appreciated. Bring a pair of gloves and maybe a flask of tea (Yorkshire tea of course) and leave with a sense of pride and acheivement, for doing your bit for the local environment. 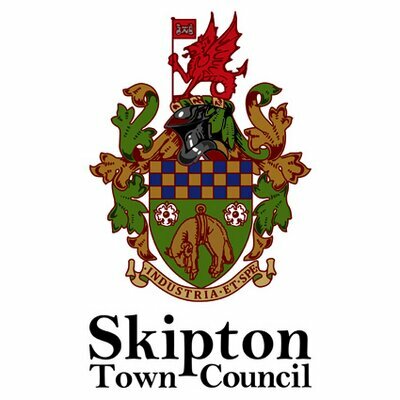 As in previous years, all rubbish will be bagged and left at the meeting point for collection by Skipton town council the following morning. I hope to see all the usual faces and a few new ones too. Membership subs are now due for the new season. New memberships and renewals can be completed online from our webstore (a link to the webstore can be found on the left hand side of this page). 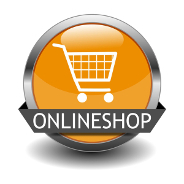 Alternatively a memberhip form is available for download from the 'quick links' menu (also on the left), if you prefer to complete the transaction by post with a cheque. Membership costs remain the same price as 2018-19. Don't forget to check youe EA license is up to date. Due to SAA's General Secretary retiring from his post in January 2019, a replacement will need to be found. If any existing member feels they have what it takes and would like to take on the role, please drop the club an email. 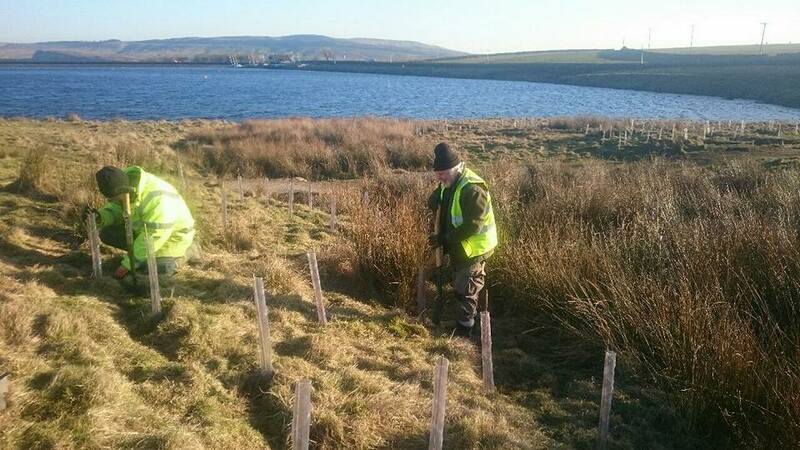 Some 400 trees have been planted along the banks of Lowburn Gill and near the entrance ditrectly behind the sailing club and consisted of grey willow, hazel, dogwood, hawthorn, blackthorn, downy birch, alder, holly and bird cherry. Fencing works are also near completion, works to tributaries and planting of marginals will commence when the water level drops and the weather warms up a little. Further tree/hedge planting will be planned towards the end of the year when we can get some more trees. Free under 12’s membership will be available upon request (Offer only available when adult membership has been purchased. Max of 2 free under 12 membership, per adult membership) - This offer will initially be for 12 month trial period. online version can be viewed by clicking the link below. As some of you may know, earlier this year SAA gained permission to carry out some major habitat works at Embsay reservoir. A corner of the reservoir (roughly 350 meters) will be fenced off to allow for the works which include tree/marginal planting and reworking of a couple of tributaries to improve spawning sites and increase wildlife. The proposed area will be closed off to the public with access only granted to anglers, this will hopefully have the added benefit of reducing fractions between anglers and dog walkers and provide a little shelter from the wind once the trees are established. Anyone wishing to join in with the developments planned for Embsay reservoir towards the end of this year/beginning of next, is required by Yorkshire Water to have watched their induction video which can be found below. All dates for work parties will be posted on here, Facebook Group Page and hopefully in the angling section of the Craven herald if timing permits. Some of the points covered by the video may not be relevant to the works planned but stick with it, is only 13 minutes long. 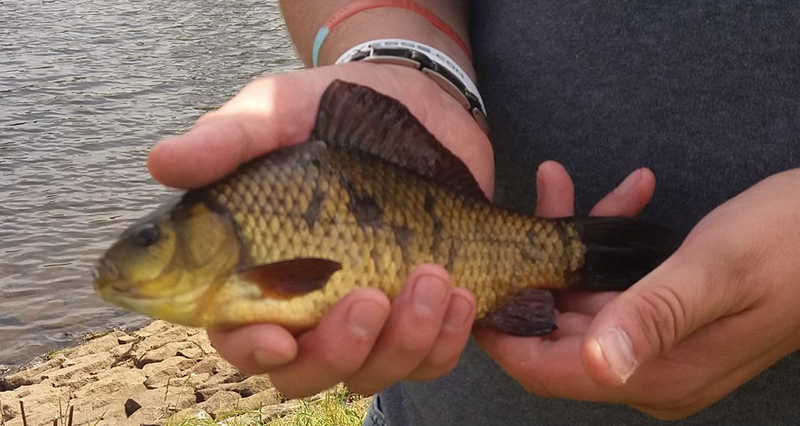 Canal records, It seems that there has been no record fish been submitted for the Leeds Liverpool Canal (with the exception of G.Waterfalls pictured bream). If you fancy getting your name in the record books then a couple of hours on the canal with a set of scales and a camera seems to be the way forward. Sunday 19th of November has been set for a 'tree planting' work party on the river just below Carleton stone bridge. If you can help out then we will be on the banks from 10am onwards. The trees are only tiny, so it won't be back breaking work. bring some gloves a small spade and a flask. As of next season, SAA will be entering into a 'shared ticket scheme' with Ilkley Angling Association. Which will allow two members from each club, per day, to book onto each others waters (catch and release only). Full details will be published later on in the year, but if you want to get an idea of how it works, check out IAA website as they already run a similar scheme with other clubs. Also new next season, we will be looking towards improving the angling experience for our younger members. There will be an annual trophy for the best fish caught by a junior, a junior club record fish table and we will also be looking towards a couple of free 'drop-in' style tuition event on the canal. It would be great to drum up enough intrest to maybe run a couple of junior matches too. Plans to develop Embsay are nearly finalized now, so be sure to keep an eye out on here and facebook for details of work parties over the winter months. Dave Fenns record Ide weighing in at 1.300kg. One of the less frequently seen species at Whinny Gill. Originally stocked way back in Jan 2010 at a very small size and in small numbers. The club will be topping up the stock at the end of the year by introducing 200 x 6-8" ide. A double club record in one session for SAA Vice President Malcolm Mawson. Common carp @ 2.670kg and a blue orfe at 1.370kg. Caught at Whinny Gill. Whinny Gill continues to give up its secrets as Michael Ickringill breaks two club records in as many days. 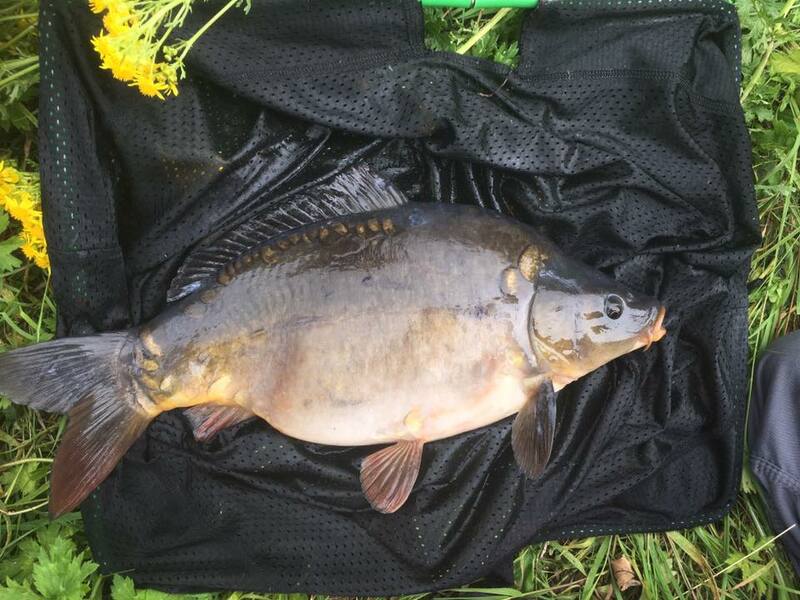 First came the marvelous ghostie at 4lb 8oz 2dr followed by this stunning mirror carp of exactly 5lb 8oz 2dr. This sees Michael now holding no less than five club records. Whinny Gill certainly produced last week with numerous large bags of tench and rudd along with the usual trout, roach and bream. Perhaps one of the more notable catches was by Darren Horton, who managed to catch the first ever Whinny Gill crucian weighing in at exactly 8oz. The records continued and a few days later at the taster-day, new member Lee wiseman landed a fin perfect 5lb 9oz Common Carp. Well done to both. It appears as though the Association has an opening for a new Bailiff position at Embsay Moor reservoir, the position is currently being filled on a temporary basis, but a longer term solution is being sought. Applicants must be members and have a keen interest on 'policing' the reservoir on a daily basis and therefore would preferably live relatively close to the reservoir. If you are interested then get in touch and let us know. 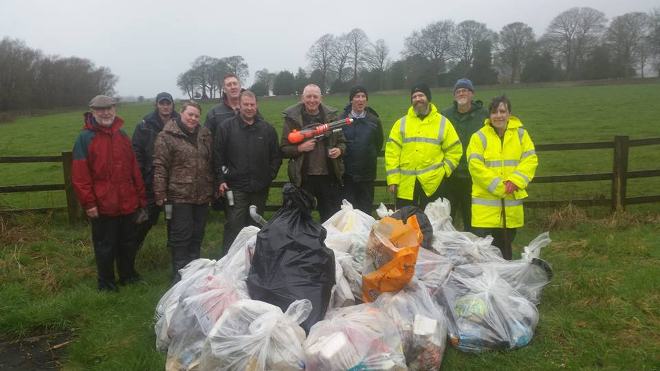 Well the turnout for Skipton Angling Associations river clean-up was relatively impressive when considering the atrocious weather conditions. 13 members turned up in wet weather gear and boy did they need it. 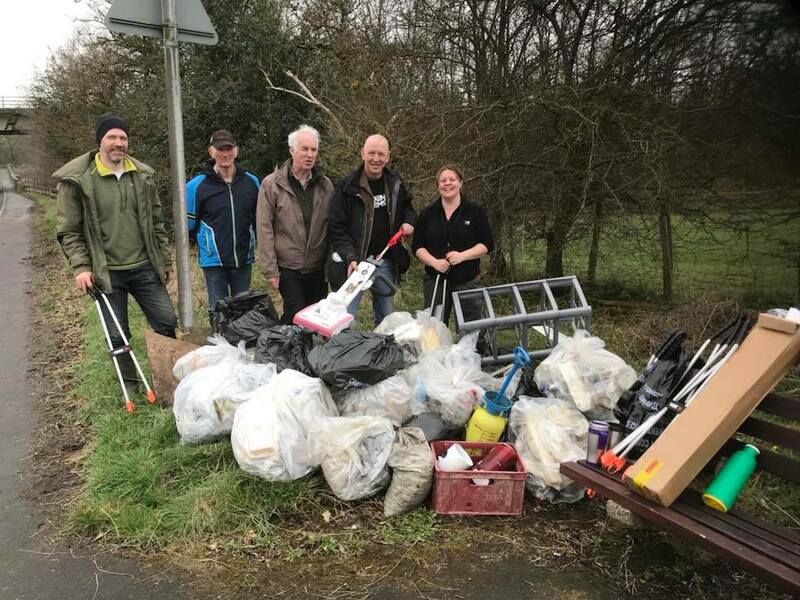 It was decided that due to the river approaching the top of the banks, only the top of the banks and along the road near Carleton Stone Bridge could be litter picked safely. Combined with the fact that river levels were continuing to steadily rise, the volunteers ran short of time (and dare i say enthusiam) so they couldnt collect as much as what they would have liked. However, they did manage to collect approximately 30 bags of rubbish. A huge thank you to all that braved the miserable weather and helped out. Needless to say, with the river bed being around 12 foot under water, the planned in-river works had to be put on hold, so they will be completed at a later date. The rubbish has been arranged to be taken away by CDC tomorrow, so if you hear complaints about fly-tipping on the side of the road, (as there has been in the past) then please kindly inform of the situation. Work on the new 'Wet Woodland' below Carleton Stone Bridge began on Wednesday 08.03.2017. 'Forest Of Bradford Volunteers' started the work by planting the mixed species native hedgerow along the existing fence line to the bypass. They will be back on site over the coming weeks to erect fencing and an access gate to the lower end of the land. The black poplars will also be individually fenced off and further trees planted throughout the field. Hopefully all this will be completed around the start of April. In addition to this, over one hundred willow whips were planted by SAA 11.03.2017, along the spit of land immediately below Eller Beck, in order prevent losing the spit when the river is in spate. SAA will continue this work with further planting of willows in the river bankings, to protect existing stands of trees, help provide new habitat, stabilize the banks and help the formation of pinch points. Please respect the fishes welfare and refrain from fishing the venue until they get settled in. 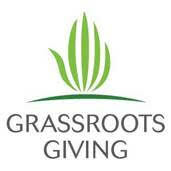 It is with great pleasure that i can announce The Clubs recently submitted bid to Skipton Building Societies Grassroots Giving Fund has been sucessful. A huge thank you to all who took the time to bid for the association, we couldnt have done it without you. in case you missed it, you can still view the bid that was submitted, which includes details of what this means for anglers in the Skipton area. I have received word via Prof. Jon Grey from the Wild Trout Trust, that the EA has finally confirmed that they have consented to plans for in-river works. It is too late to organise anything in river for this year as essentially disturbing the bed in the build up to spate and spawning season isn’t ideal, So work will be carried out early next year. Jon has written a funding bid on our behalf, to get some work covered under the Fishery Improvement Fund, the funders like to see evidence of match funding. Jon has kindly said he will put some of his time into that mix in terms of producing the river report for the club that was produced last month (drop us a line if you would like a copy). However, if a couple of work days led by Jon (aiming for a Saturday) , were to be organised, He could write each volunteer in as £50 per day contribution. With this in mind it would be really useful to have an idea of how many of you are willing to volunteer to help out, so the funding bid application can be submitted (preferably this week). If you would like to volunteer to help out with a bit of in-river work then please drop me a quick line via the 'contact us' page or contact me (Graeme) on 07851 554 623. The Association has recently been applying for funding from numerous different sources to ensure that our Whinny Gill venue can continue to hold successful taster-days, allowing attendees a greater chance of catching that all important first ever fish. 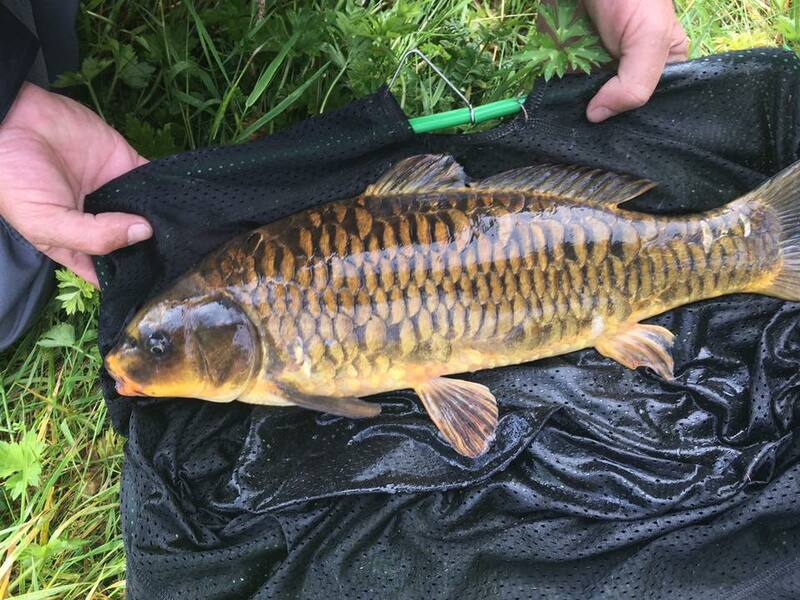 It was important for the club to not only increase stock numbers at the venue but to also introduce new native species that have the potential to breed in the water, hopefully creating a legacy for years to come. Our hard work has been recognized by local craven district Councillors Robert Heseltine and Andy Solaway, who support our views and have recently awarded £500 each of their allocated Members Ward Budget. This will be added to the £800 that the club has raised through events and other donations, so a huge thank you to them. After much consideration, the committee has decided that the £1800 will be used to stock small numbers of Tench, Crucians, Rudd and Gudgeon in to the venue towards the end of the year. The funding applications are continuing and we hope others will support our efforts, enabling us to further increase stock. Our various Matches also continue to raise funds and we hope the final taster-day of 2016 will futher to add to the stocking kitty and afford the club to add to the orders that are already placed. A big thank you to all that have helped, especially those who donate their match winnings back to the fund, people who donate their unwanted fishing tackle for sale at the taster days and of course everyone who helps make them the huge sucess they have become. During 2016, the Association has been investigating the acquisition of fishing rights along a length of the Leeds to Liverpool Canal. It is with great pleasure that we can announce the contracts have now been signed and all SAA members have the right to fish between Bridge 175 (Niffany Swing Bridge) and Bridge 178 (Belmont Bridge) the rights also include the Springs Branch which runs from the basin to the back of Skipton Castle. Day tickets are available through our online store (click the link in the menu on the left), Pennine Cruisers (the boat shop on the basin), Archway Pet Supplies and The Papershop on Sunmoor Drive. Two new records have been set by Michael Ickeringill in a single visit to Whinny Gill. 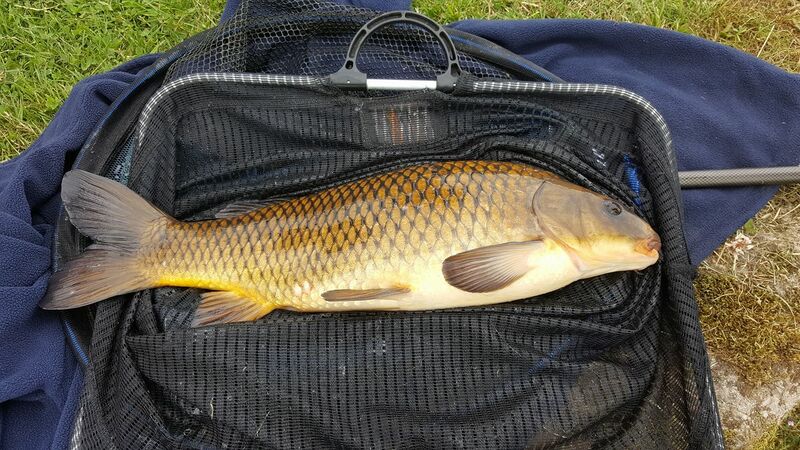 Along with around 20 skimmer bream and a good sized perch, a rudd of 4oz 6dr was landed, closely followed by a tench weighing 1lb 6oz. 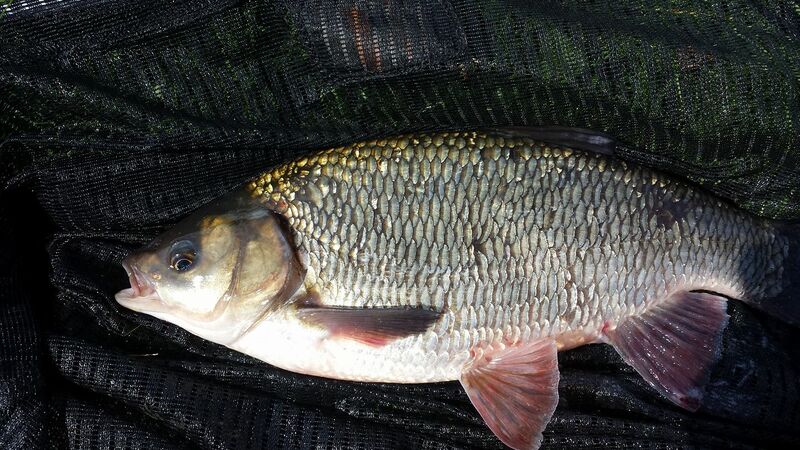 The club were aware that a solitary rudd did indeed get mixed in with the roach and bream at the last stocking but the news of the tench came as somewhat of a surprise as they have never been stocked by the club. Although Michael is to be congratulated on his fine catch, It is important to make clear the clubs viewpoint on any stockings of an illegal nature. Illegal stockings are just that – illegal. They carry a very hefty fine and a criminal record to anyone caught stocking in this manner. Not only is it important to consider the legalities of such actions but the implications on the gene pool of existing fish, introduction of pathogens, parasites and invasive species. Illegal stocking puts at risk the existing stock, the delicate ecological balance of the water and the club in general. Any information relating to such stockings shall be investigated by the club and handed to the Environment Agency. I can now officially announce that Alan Wades Whinny Gill Ide record was broken last week by Craig Hartley. 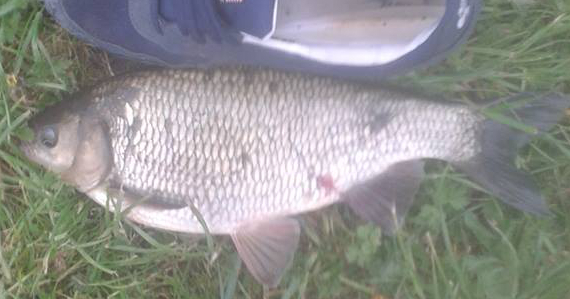 The fish weighed in at 2lb.13oz and is pictured here next to Craigs size 12 shoe. It was an estimated length of between 16-17 inches. On the same visit Craig also landed a number of decent trout good sized ruffe and a smaller ruffe, but these were unweighed. Well done craig. 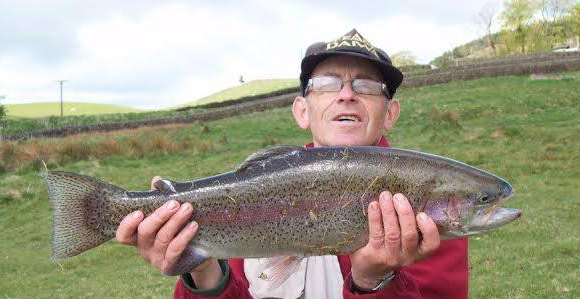 One of SAA long standing members and regular visitor to Embsay, Phillip Mawson, was lucky enough to land this beautiful rainbow trout recently. The trout which tipped the scales at 7lb 8oz and measured 26 inches, smashes the previous record. Maybe Phillip will be looking to catch an even bigger one on his next visit. Huge success at Skipton Anglings taster-days. 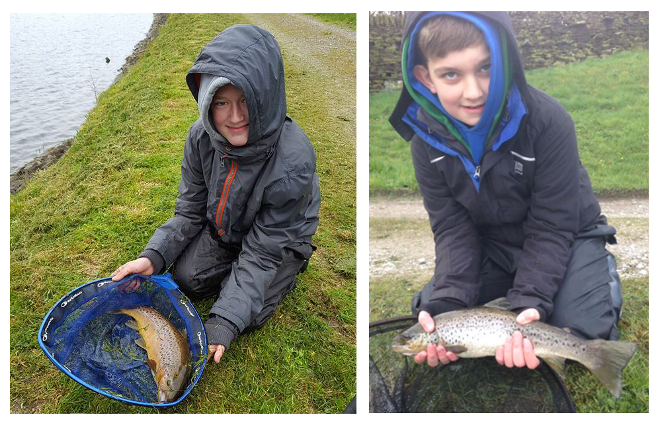 As part of its policy to encourage young persons to take up the sport of angling, Skipton Angling Association held a ‘Taster-day’ on Whinny Gill Reservoir on Sunday 24 April. Despite the cold weather, a pleasing number of persons attended the event. A count during the afternoon indicated that there were upwards of 30 persons on the banks of the reservoir. This included 12 youngsters receiving free tuition, parents, club members and club officials. All the anglers, including those who fish the water on a regular basis, found the fishing difficult due to the cold weather on the day and during the previous evening. All the fish landed were specimen brown trout between 2 ½ to 3 ½ lb range. At the conclusion of the event the ‘Junior Fishing Trophy’ was presented to Joshua Ickeringill by Martin Emerson, Deputy Skipton Town Mayor. A prize of a beginners fishing kit was later presented to James Dagget for his 3 ½ lb brown trout. All the children who took part received ‘goody bags’ compiled by the Association, containing feeders, disgorgers, line and other useful items such as DVDs that had been donated by Angling Times, Maxima and Enterprise Tackle. An innovation at this event was the introduction of a special stall selling pre-loved fishing tackle that had been donated to the Association. It proved very popular and together with other donations, a significant amount was raised for the Associations stocking fund. The Association wishes to extend its thanks to all those who gave up their time or donated prizes to help make the event a huge success. Other prizes and bait for the event were donated by KL Tackle, Keighley and Sunny Bank Bait Farm, Bradford. There has already been interest shown for the next taster-day by those who unfortunately could not attend on Sunday. This will take place on 26th June and again on the 21st August when hopefully we will be breaking out the sun cream opposed to the woolly hats. Once again there will be prizes to be won, pre-loved tackle bargains and of course the all-important free angling tuition and reduced membership offers. It would be great to see as many turn up for the next event. 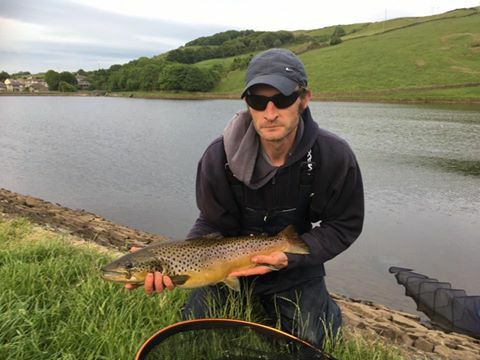 Plenty of trout have been coming to the net at Embsay this season with many reports of individual sessions bringing well over 10 fish to the net, most are browns and rainbows around the 2lb mark but plenty of the new tigers have been caught too and more importantly, released again. 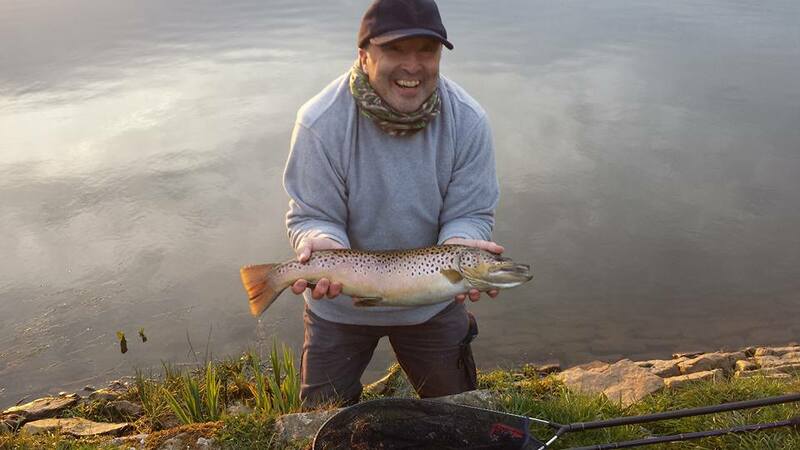 April has seen the record for the tiger trout set at 1lb 8oz by the clubs Event Secretary, Malcolm Mawson. There are also reports of a rainbow being landed at a shade under 8lb (also released), however not enough details have been received in order for this to officially break T.Fryers current record of 6lb 6oz set in 1991. Get out there, get fishing and break records! Well it could not have been a nicer day for an extra stocking in time for the start of the new season - The planned 200 tiger trout, turned into 150 due to a supply issue but the missing 50 fish were replaced by a mix of 50 fantastic large brownies and rainbows, some of which were easily 7lb in weight. A few ecepetionaly blue trout were thrown in the mix for good measure too. All this only a fornight after the last stock went in. As for the tigers, well they were every bit as stunning as expected however getting photos was tricky as they were like pirahnas on a feeding frenzy - unbelievably lively! We should have perhaps issued them with ASBOs before releasing them. What a fantastic season this is going to be. Be sure to submit your photos if you catch them. As usual, you can see more photos on our Facebook group page. 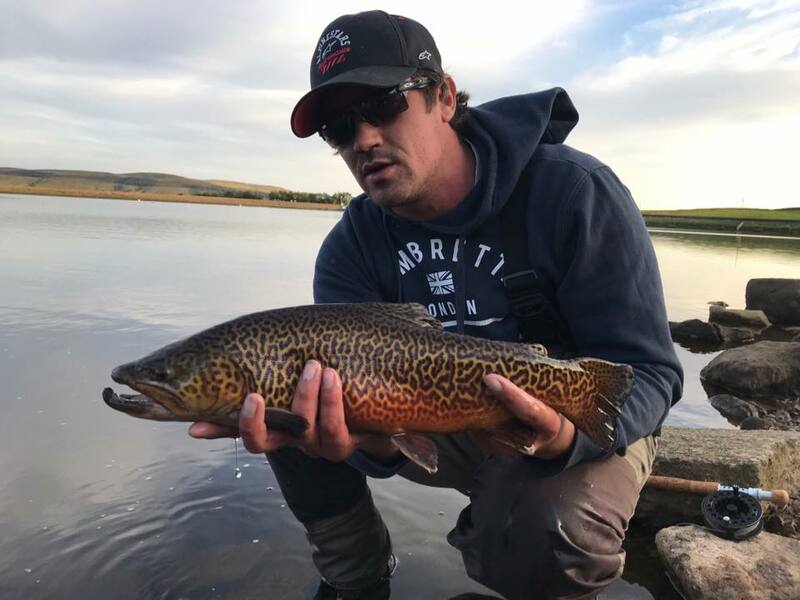 The club requests that any tiger caught be safely returned to the water, giving the fish the opportunity to grow-on and your fellow anglers to share the experience of catching such a beautiful fish. If proved to be popular then there is no reason the club will look to stock further tigers next year. We will continue to stock a good number of quality rainbows throughout the year, so those who are rather partial to taking the odd fish for the table can continue to do so. 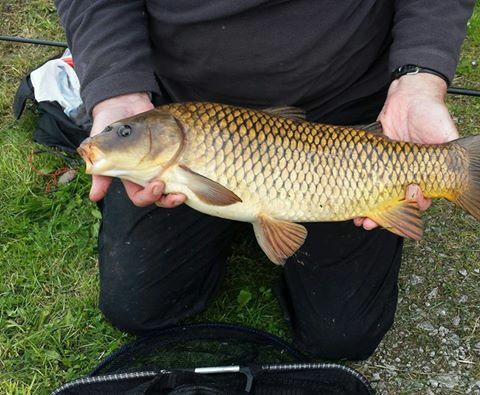 The taster-day events Skipton Angling Association run are primarily hosted to ensure the past-time of angling does not disappear into the realms of history. Unfortunately we now live in a society where kids (and adults) would rather sit playing on an X-Box rather than a tackle box. We believe it is much healthier and much more rewarding, to spend a day on the river bank, learning and appreciating the wildlife and your surroundings, rather than shooting zombies in a computer generated post apocalyptic world, on the latest curved OLED 3D TV. If you share our in beliefs, then we invite you to help us pass on our knowledge of angling and appreciation of the naturalistic environment it offers, to the next generation. TIME & KNOWLEDGE: Without volunteers passing on their knowledge, the whole event collapses. If you know how to cast a fly line, stick a worm on a hook or tie a knot, then we ask if you could donate an hour or two of your time to teach others what you know. You don’t have to be an expert! We can assure you that, not only will your help be greatly appreciated but you will find it extremely rewarding to have helped someone learn a valuable new skill. Turn up on the day, or contact us for more information on how you can help. PROMOTION: If you are unable to help in any other way, then we ask you to help us by getting word out. Are you able to help by putting a poster up at your place of work or in your school or social club? Can you help deliver a few leaflets? You can still help without leaving the comfort of your chair by sharing this and other posts on social media. We need to spread the word far and wide, not just in Skipton, so this is particularly helpful if you live outside the immediate area. Contact me if you would like leaflets or a poster, alternatively you can download a poster from the juniors page. PRIZES: Everyone loves to win a prize, which is why we try to ensure that all juniors who attend our events go home with a small prize in recognition of their achievement. These prizes are all supplied by donations from generous members and hopefully awarded this year by the town mayor. With this in mind, we ask that next time you find yourself in a tackle shop, that you consider purchasing a little something extra, whether it be a couple of floats, a small tackle box or a basic rod/reel combo, it all helps and ensures that we don’t send any of the youngsters away empty handed. USED FISHING TACKLE: This year we will be running a second hand fishing tackle stall at our events, so if you have a little too much fishing tackle, (I think we all have a bit of something) that is in a reasonable, clean condition, then please consider donating it to the club. Likewise, if you’re looking to purchase a bargain, then come and have a browse. All proceeds will go towards the stocking of coarse fish in to Whinny Gill, ensuring that new anglers have a greater chance of catching that most important ‘first fish’. We all remember our first fish, right? Donations can be made on the day or in advance to any club official. We can even arrange collection if required. OTHER WAYS YOU CAN HELP: This year the club are looking towards holding a ‘Grand raffle’. We are currently collecting prizes for this, so if you feel you can contribute then please do. Any prizes donated are welcome, whether this be a bottle of unwanted wine you got for Christmas, an hours horse riding lesson or even a holiday for two to Sydney if you’re feeling generous. Please help in any way you can. 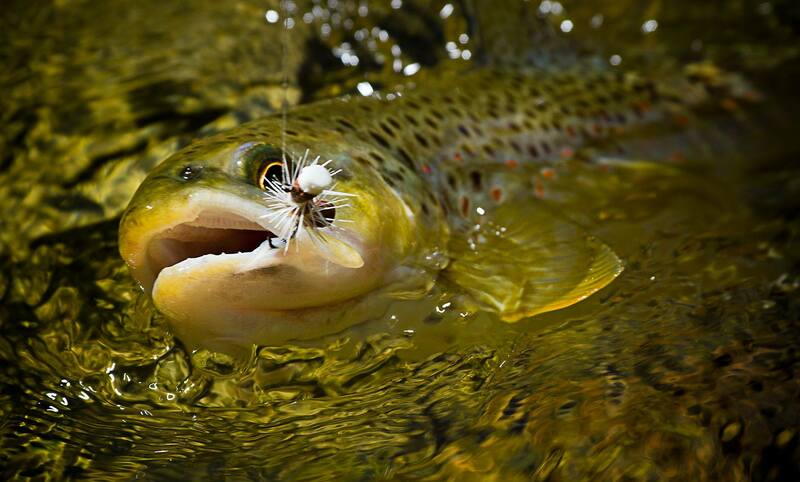 Do you want to learn the finer art of fly fishing? Not sure where (or how) to start. Maybe you want to improve and (hopefully) catch more fish? For Skipton Angling Club members only, our friendly Bailiff Dave Matin will show you everything you need to catch trout and grayling on our stretch of river. He will offer this service free of charge, however if you wish to make a donation to club funds in return for his time and hard work, it would be appreciated. Interested... Contact David Martin on Skipton Angling Associations Facebook group page. All our venues allow bait fishing for trout. On the River Aire and at Whinny Gill any legal bait is permissable, even at Embsay (our premiere trout water), bait fishing for trout is still permissable but is restricted to worm and minnow only. Lure fishing is also permissable at all our venues. So Why not grab yourself a day ticket, dig up a few worms and head out on a hunt for those big rainbows, you wont be disapointed! Where else can you have a days bait fishing for rainbow, brown, tiger and blue trout for only £15? Click on the link to the left, to find out where you can get your day ticket or purchase at our online shop.